Beth Meinert, a three-decade veteran of Mitre, has been promoted to vice president and director of the federally funded Center for Enterprise Modernization-Financial and Economic Transformation. Mitre said Wednesday Meinert has helped drive the nonprofit company’s work program across the departments of Treasury and Commerce, the Social Security Administration and federal government financial oversight organizations since she joined CEM. 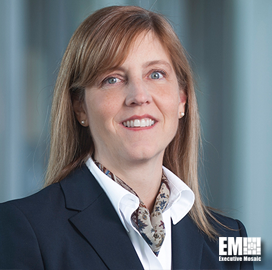 “In her new role, Beth will continue to develop and execute our Mitre good growth strategy, as well as continue to develop new ways to bring innovation into our work and ensure that our work program is providing the mission impact required for government to meet the needs of our citizens,” said Jason Providakes, CEO and president of Mitre. She previously served as director of U.S. Army programs and portfolio and supported the military service in efforts to address its strategic goals. Meinert spent four years with the Army before she joined Mitre in 1988.